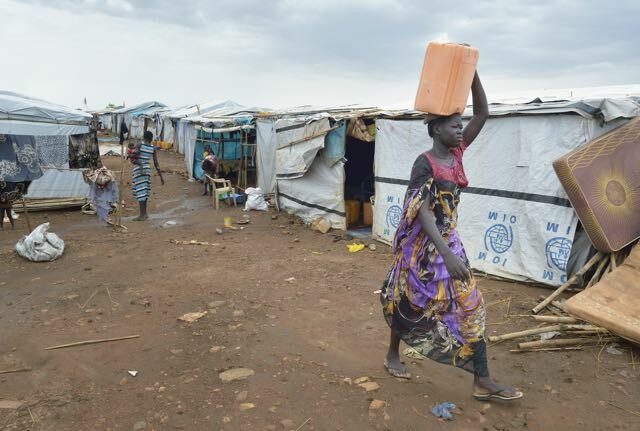 Refugees displaced by the violence don’t have the luxury of indoor plumbing that most of us take for granted. They must travel to find water, sometimes spending up to 8 hours per day in the dry season. This responsibility usually falls on young girls. They walk for miles along rutted dirt roads and across bone-dry fields until they get enough water to bring back to their families’ homes and huts. Girls who leave the protection of their villages are often stripped naked, beaten, and raped. This crisis is far beyond anything most people have seen. We are trying our best to provide these suffering people with the most basic human need, but we need your help. For World Water Day, will you join us to bring clean, lifesaving water to remote villages throughout this poor country? Finding clean water is nearly impossible and water wells are desperately needed. It costs an average of $12,000 to create each new well, providing over 2,000 people with safe drinking water. I pray you will send the gift of water to help us save countless lives. A woman carries water on her head inside a United Nations base in Juba, South Sudan, where some 34,000 people have sought protection since violence broke out in December 2013. More than 112,000 people currently live on UN bases in the war-torn country, most of them afraid of tribally targeted violence. Children and families are so desperate and thirsty that they often fill containers with water from muddy holes and rivers. If you could just smell or see how filthy the water is—you wouldn’t believe it. It’s tainted with bacteria, parasites, and even excrement from animals and birds. And there is only a brief moment of relief in the rainy season. But the heavy rain during this time often turns into flooding waters in small villages and roads, which quickly contaminates the rain water. More than 2,500 South Sudanese have been infected with cholera, and more than 1.6 million have severe Malaria. Waterborne diseases are ravaging the country, killing more people in this country than anywhere else in the world. Digging borehole water wells will not only supply these isolated areas with fresh flowing water, but it also means young girls won’t have to risk their lives looking for water. $12,000 might seem like a lot of money, but digging a well is no easy task. 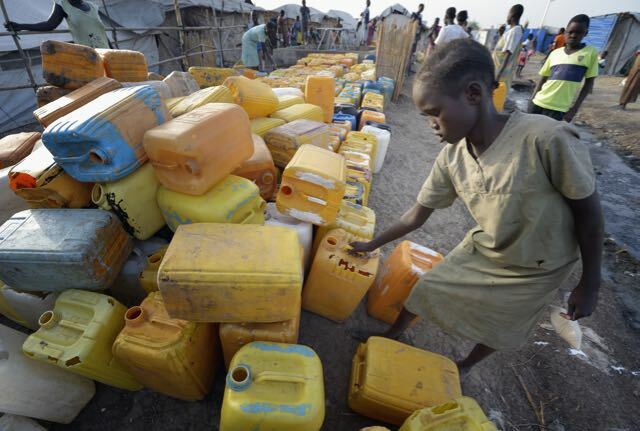 A displaced girl waits for water to be turned on inside a United Nations base in Malakal, South Sudan. More than 20,000 civilians have lived inside the base since shortly after the country’s civil war broke out in December, 2013, but renewed fighting in 2015 drove another 5,000 people, including this woman, into the relative safety of the camp. First, we need to get our team to these remote villages, most of which have no roads. Then, we need to transport a rig, drill, pump, and all the necessary tools. But before we can even dig, we need the funds to cover the cost of transportation of those components. This can sometimes double the cost of one well depending on how remote the location. Despite the challenges, we are determined to make clean, lifesaving water accessible so that people will no longer suffer from thirst, dehydration, and diseases that come with unsanitary conditions. And right now, I am praying that you will help us renew dignity for these children, women, and families. So please, give what you can today in honor of World Water Day. Your generous gift alone could save a little girls life. Thank you for your caring heart and generosity. P.S. With no food to eat and ongoing war, our work has never been more important. You’re our only hope when it comes to providing hungry children with the food they need to survive.